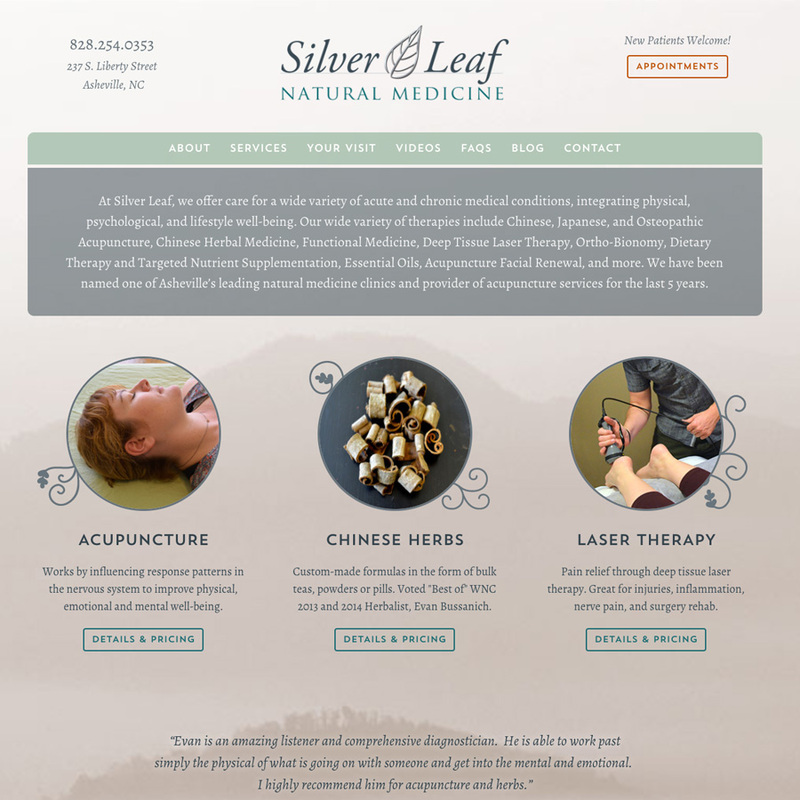 After finding a new location in North Asheville, Silver Leaf was ready to update their website. One of our goals was to communicate the relaxing and welcoming atmosphere of their shop through the design and use of in-house photography. We also made it easy to make an appointment online and see what events were coming up. The result is an inviting site that loads quickly and has boosted the search engine rankings of the shop.